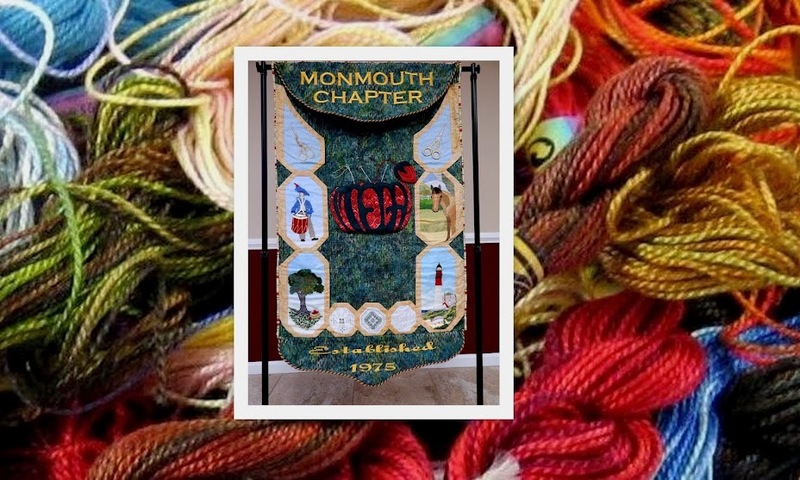 Come and stitch from 6:30 to 7pm. At 7pm, the meeting will begin. Designed by Carolyn Standing Webb. 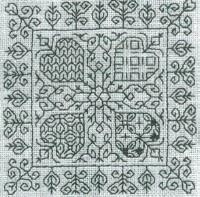 If you have never stitched Blackwork before or need a refresher or just happen to like this design, please join us at this project. Includes 4 different patterns plus the border. And remember that Blackwork doesn't have to be stitched in black thread. Your finished size will be 3.5" square if worked on 14/28 count fabric or 3" square if worked on 16/32 count fabric.